During the two week Easter Break we know how hard it is to find entertainment for all the family. Why not treat yourself and the kids to a day on the river or still water. With fabulous fishing destinations to choose from, whether its fishing for rainbow trout or salmon on a river, there is something for everyone. 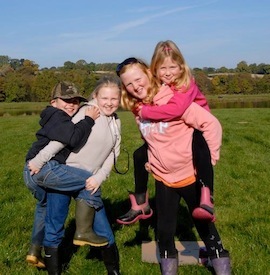 Here are some great fishing ideas to keep young people busy enjoying the outdoors this Easter. Spend a day fishing for salmon, trout or sea trout on the River Annan at Hoddom. The beat is set amongst stunning woodland that burst into a kaleidoscope of colours in Spring. The ungrazed banks are rich in wild flowers from spring through to late summer offering excellent cover for anglers to sneak up on a fish. With Hoddom Caravan Park adjacent to the beat it is the perfect place to stay to explore the river. Why not book a night in one of their ‘quirky’ chill pods. A days fishing on Hoddom during April costs £12 per person. Regarded as one of the finest chalkstreams in the world. Search the crystal clear waters for brown trout. The river supports a rich diversity of mammal, bird, fish, invertebrate and plant communities, providing the right environement for abundant fly hatches for trout to feed on. Timsbury Beat 6, Romsey – £90.00 for a days fishing. The spectacular expanse of Kielder Water & Forest Park, offers you a truly stunning location, for an ‘away from it all’ experience. The largest man make lake in Western Europe, with over 20 miles of fishing shore line, as well as a fleet of 15 boats for fly fishing. For non anglers there are many recreational and leisure facilities, including childrens play areas, ferry rides, mini golf, cycle and walking etc. This an ideal venue for all the family. 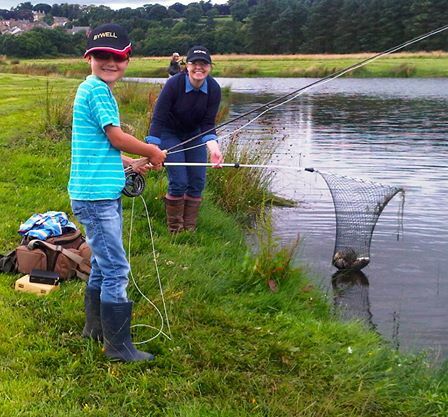 A family fishing day ticket costs £35 and includes a shared catch of up to 12 fish. We have many more places to choose from during the Easter Break – for more information please contact Tom Carter on 01573 470612 or visit the FishPal Find Fishing page.